MOSCOW, January 19. /TASS/. Russia’s Black Sea Fleet is monitoring movements of the US guided-missile destroyer USS Donald Cook, which had entered the Black Sea, the Russian Defense Ministry’s National Defense Control Center said on Saturday. "Forces of the Black Sea Fleet have begun tracking the guided-missile destroyer USS Donald Cook immediately after she made a transit into the Black Sea," the center said. According to the center, "the Black Sea Fleet guard ship Pytlivy began tracking the movements of the US naval ship immediately." Besides, the US ship will be monitored with the help of the fleet’s electronic and technical means. 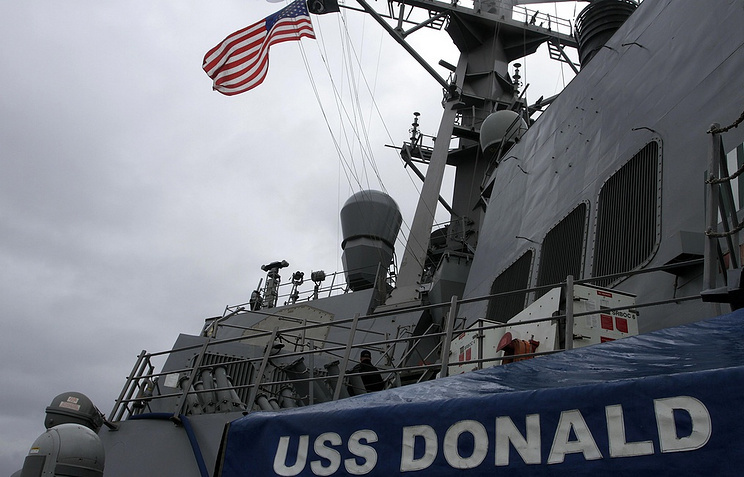 USS Donald Cook entered the Black Sea at 8.50 p.m., the National Defense Control Center specified. The top brass recalled that under the Montreux Convention, which regulates transit and navigation through the Bosphorus and Dardanelles Straits, the USS Donald Cook cannot stay in the Black Sea longer than 21 days, as a naval warship belonging to a country without a Black Sea coastline. 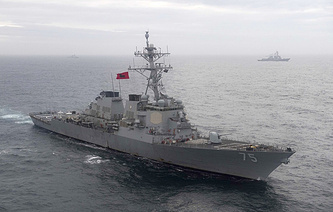 Earlier in the day, the US 6th Fleet’s press service reported that the Arleigh Burke-class guided-missile destroyer USS Donald Cook began its transit of the Dardanelles Strait heading into the Black Sea "to conduct maritime security operations and enhance regional maritime stability, combined readiness and naval capability with our NATO allies and partners in the region. ".